We have established GPS connectivity with geo-fence capabilities giving real-time visibility to your freight and providing automated status updates. At DWC, we provide access to technology that automates everyday processes improving productivity and the overall customer experience. Our team, having worked at large global corporations, realized that mid -market size companies were critically under served by the logistics industry. Mid-size companies are generally receiving basic transaction level service. Logistics suppliers are not identifying continuous improvement opportunities or looking for ways to streamline supply-chains benefiting their clients, whereas; at DWC , in addition to transportation services we also provide, as part of the overall solution, consultative solutions and a TMS community-platform to run your business. Our objective is to use our large industry experience to elevate the service to our customers. At DWC, we intend to aid and assist our clients to increase their profitability by improving their logistics solutions. DWC Global Transportation is a transportation management solution company, focused on innovative technology that addresses both domestic and international shipping needs. We offer a complete suite of transportation and logistics solutions. Technology is advancing and competition is intensifying. More and more, successful businesses must be ready to respond to complex and unpredictable challenges. 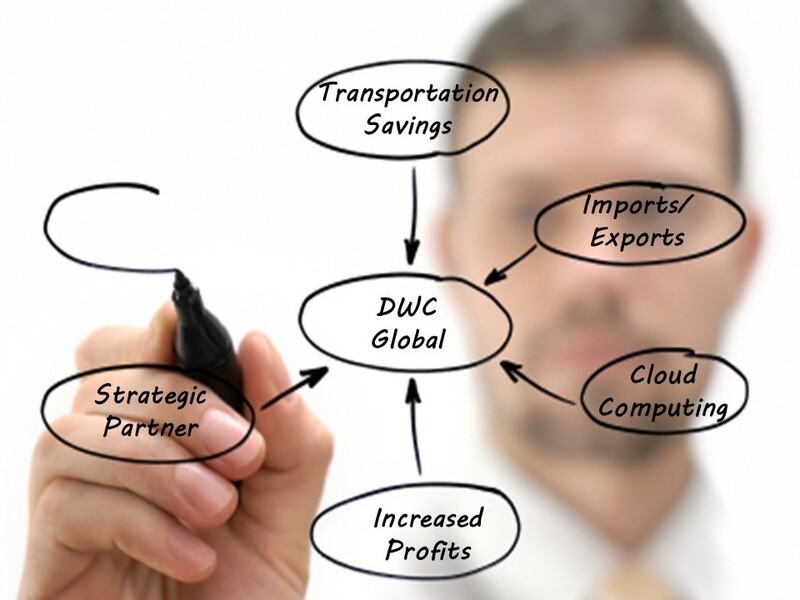 With DWC Global Transportation at your side, your business will become more agile and more competitive.